WOW, so much to do before I leave. I won't get it all done. I'm looking around my work shop and there is no way I'm getting anything done! That's ok though. I'll be taking a few projects with me on my trip to keep me busy during "boring" times. I'm still working on potato baking bags, 4th of July kid's crayon activity pack, another pop tab purse and a very cool felted water bottle cozy with a wave design on it. 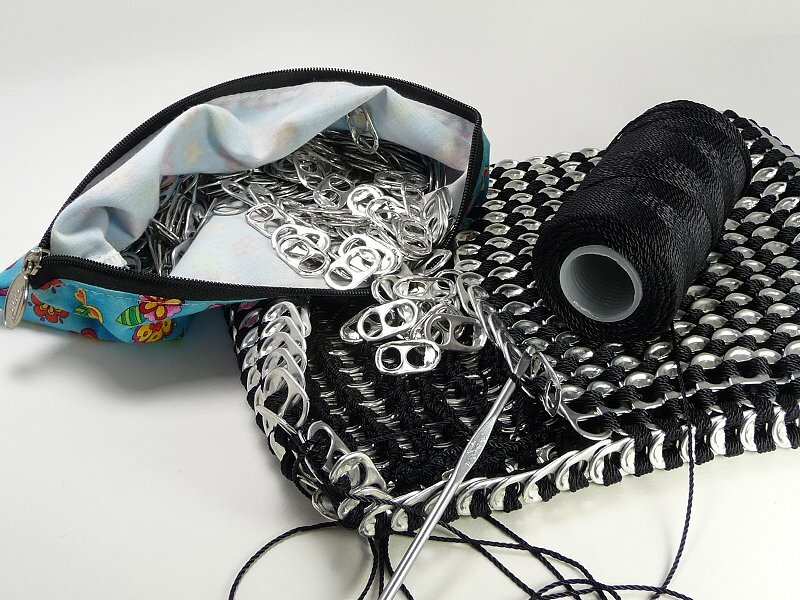 The pop tab purse I'm currently working on is coming along great. I'm actually working the strap part now. I expect to finish the tabestry part AND start a new purse while on vacation! The picture above shows a work in progress picture. I don't have any for sale right now, if you're interested you can take a look at the last one I made at this link.